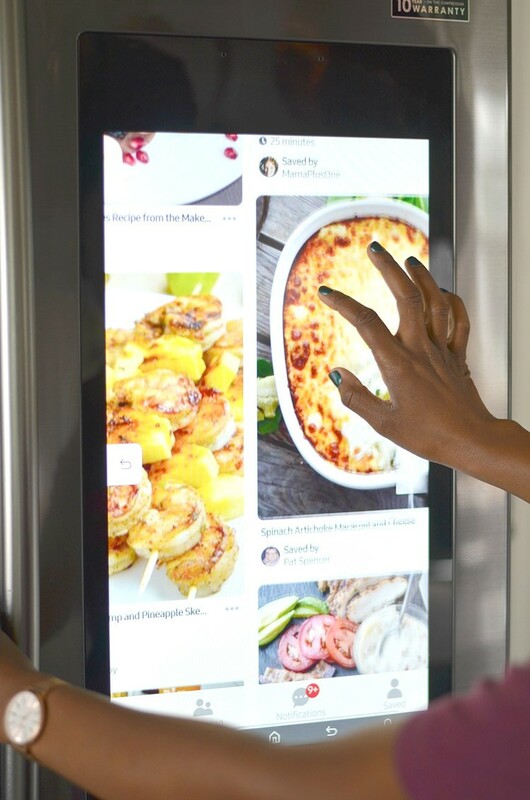 See how Samsung’s smart kitchen appliances have helped blogger, Shavonda Gardner from SG Style, and her family navigate life a little easier in the kitchen. 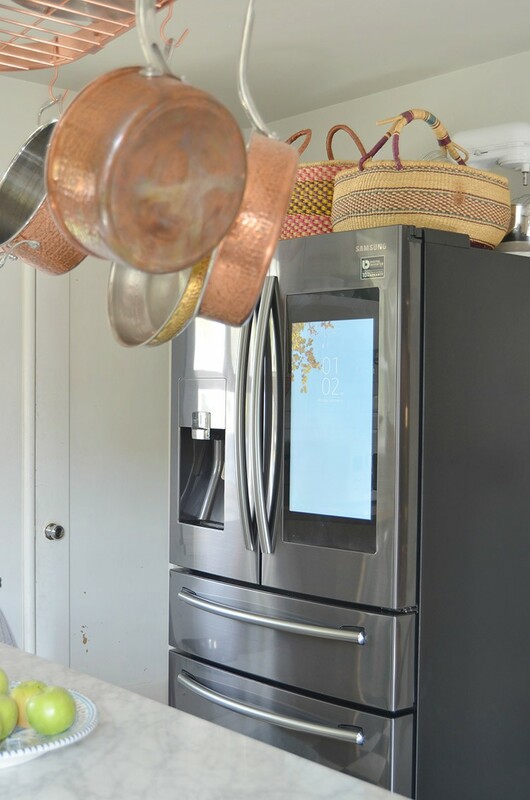 When our existing range and refrigerator started to give out on us I knew it was time to think about what features we needed in our next set of kitchen appliances. 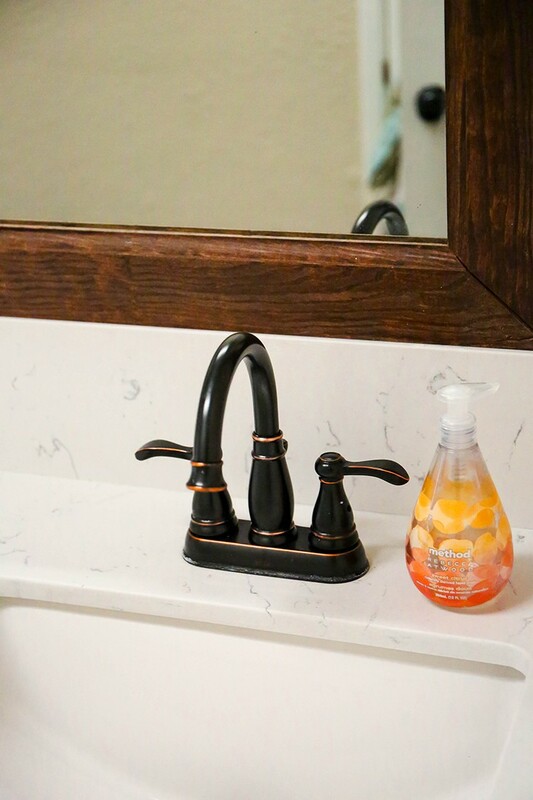 Our family’s needs have changed so much since we got our last set, so it was important to consider how we live in our home and navigate family life now. We are a busy family of four with a tween and teenager who are really active and have started to cook and prepare meals as well. As we were looking for kitchen appliances, we thought a great fit for our family would be the Samsung Family Hub system of appliances. When it came to choosing a range we knew we wanted a slide in style, a double oven and a high powered cook top. We couldn’t be happier with the Samsung Flex Duo Slide-In Double Oven Gas Range in Fingerprint Resistant Black Stainless Steel. 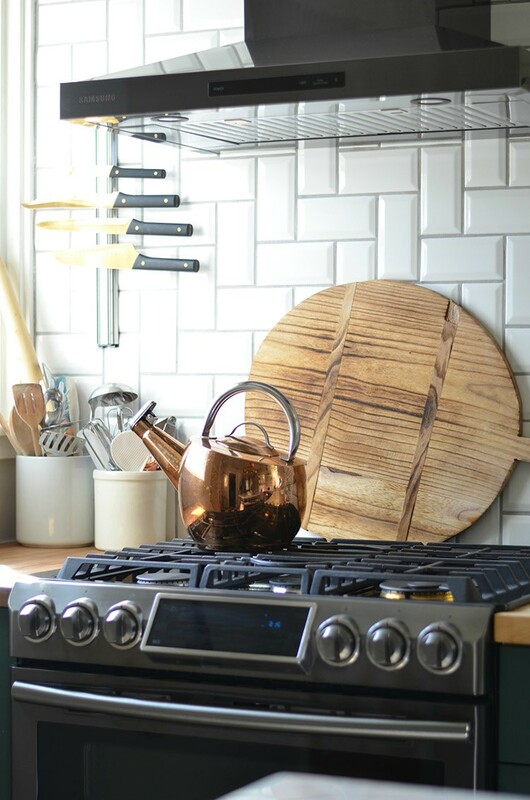 One of the features we loved about our previous range was the double oven, so I was really happy to find another range with that same feature. I also really wanted the clean, space-saving style of a slide in as every inch counts when you have a small space! This range is so wonderful to cook on and it’s almost like cooking on a professional-style range. The high BTU front burner is perfect for wok cooking, which I love to do! But my favorite features about it are the wifi capabilities and the built-in LED safety lights. There have been a few times before when we thought we turned the burners completely off; however, we came later to find the burner was still on! NOT GOOD! 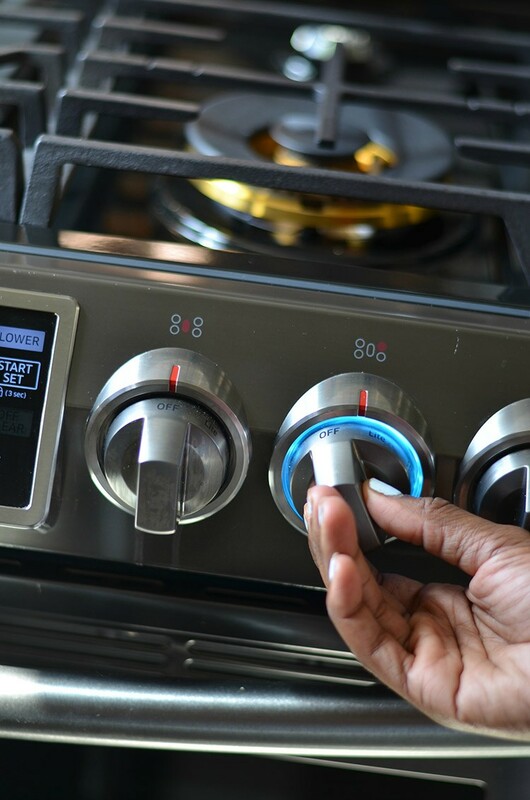 With the Samsung range ,as soon as you turn the knob it illuminates a bright blue and stays that way until the burner is turned completely off. This is fool-proof feature that is perfect for the kids! We’ve also been really enjoying the wifi feature. The Bluetooth feature sends us alerts us on our cell phones anytime the cooktop or oven is in use. This allows us to check in with the kids if we aren’t home and make sure they are being safe and aware. It also lets us to do things like preheat the oven, adjust the temperature, set the timer, and even turn off the oven all from our cell phone! This is perfect for those days when there are after school activities and we don’t get home until late. Since our new range can pack a punch in the cooking department, it was important that we also upgraded our ventilation. 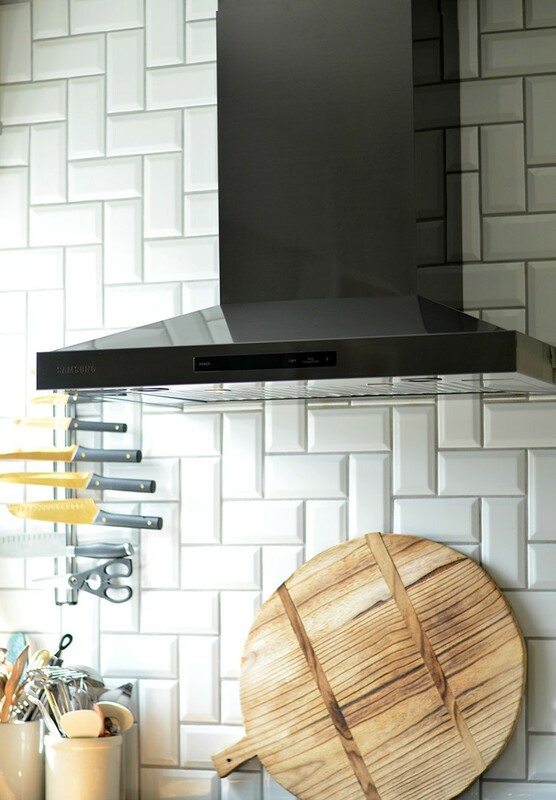 Naturally, we chose the coordinating Samsung Wall Mount Range Hood. It also has wifi and Bluetooth capabilities, plus it’s really powerful. We are able to sync the lights and fan with the range so the fan automatically turns on when any of the burners turn on! 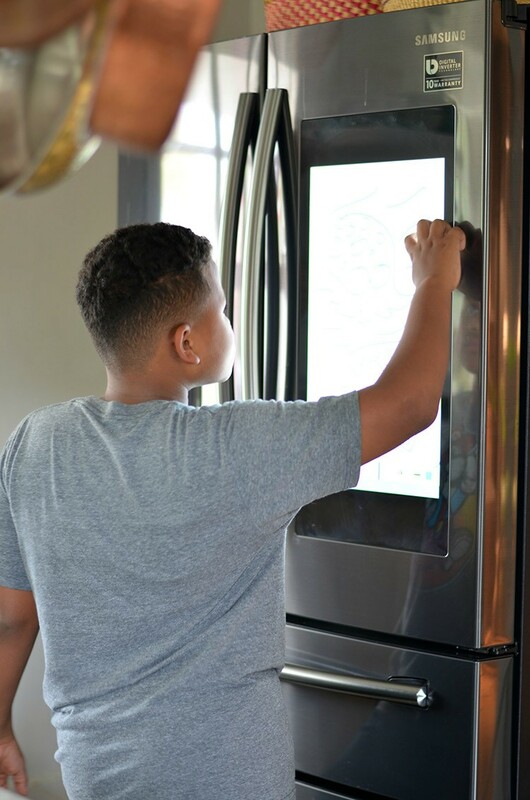 In addition to the range and hood, we also upgrade our refrigerator and are thoroughly enjoying our new Samsung Family Hub 4-Door French Door Smart Refrigerator. This has been a huge game changer for our family. Previously we kept our family calendar in paper form attached to the side of the refrigerator. Now we easily manage our schedules through the fridge. Managing 4 active schedules is no easy feat, but the smart hub makes it so convenient. Our teenager often gets last minute study dates and after school commitments so she updates her schedule with her cell phone and we all get the notification! 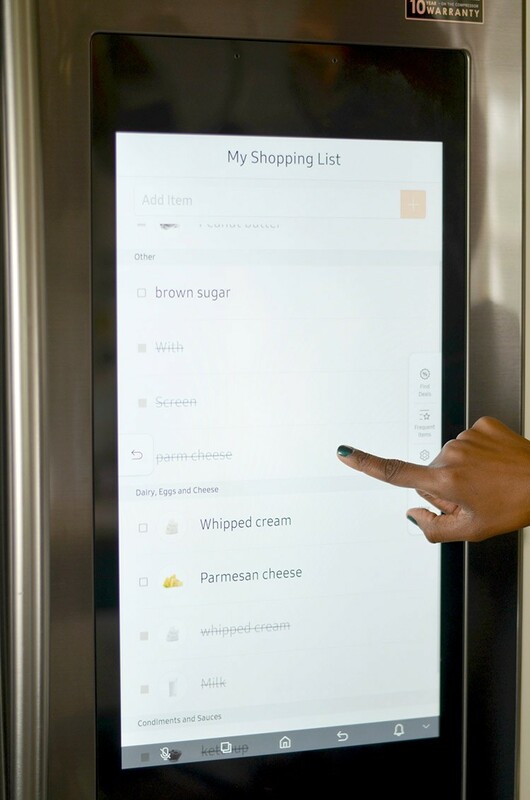 Next up on our updated kitchen appliances is the Smart Hub refrigerator. We keep our shopping list updated with access to recipes through Pinterest plus the added bonus of it reading the recipe out for us as we cook! We can also listen to music through Pandora and start our mornings with the daily weather and news. Our son loves the white board feature for drawing and leaving notes, and I love being able to see into the refrigerator when we are grocery shopping via the camera! It’s such a cool way to make sure we never forget to grab something from the store. From shopping to delivery, The Home Depot is hands down my go-to place for home improvement needs. 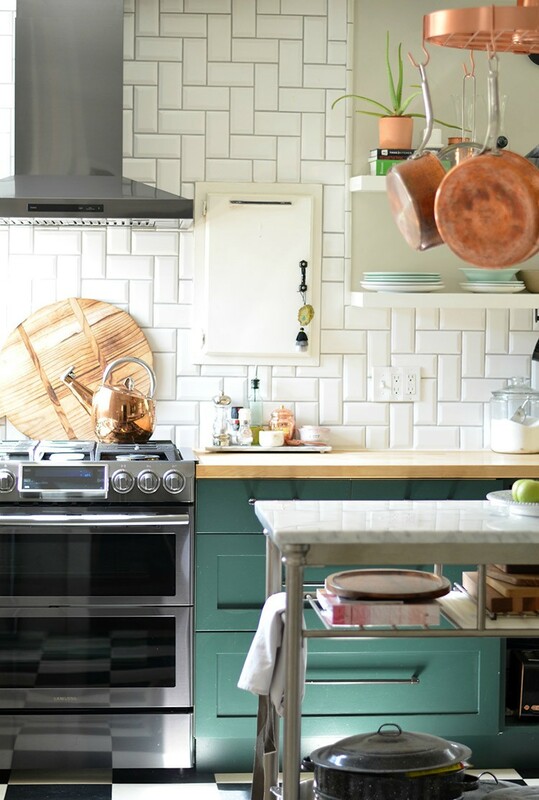 We were able to select and research kitchen appliances online and then head to the store to get a hands-on look and feel for them. The in-store staff were knowledgeable and helpful, and the delivery team was wonderful, too. We love our new kitchen appliances and how they’ve made life at home fun for the entire family. 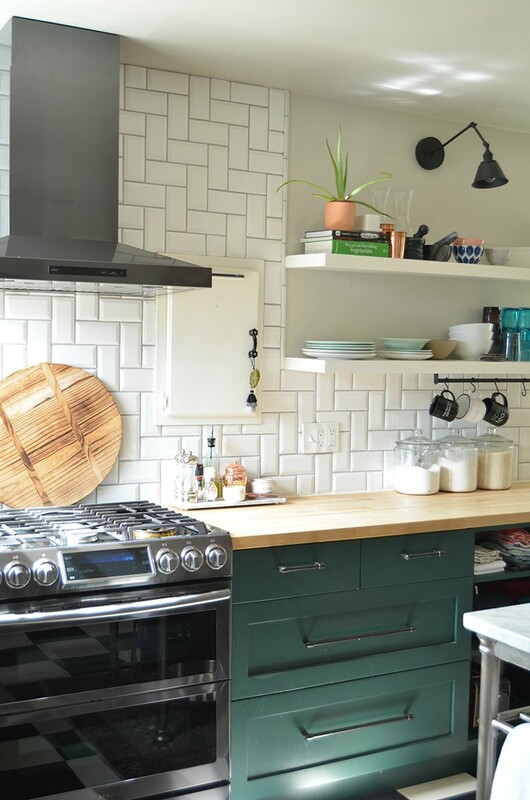 The post A Quick Kitchen Appliances Facelift with Samsung appeared first on The Home Depot Blog.